Pentax's Pixel Shift Technology and similar high-res shooting modes will have their day, but they're not yet sufficiently advanced to make this a must-have feature. That aside, the K-3 II is a capable and well-specced enthusiast DSLR. 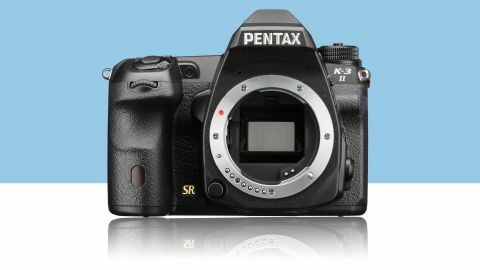 Pentax has stepped up the rate at which it releases new DSLRs of late, and the K-3 II marks the third launch in a year. The company's latest top-of-the-line DSLR replaces the K-3, and introduces some new features designed to steal the enthusiast camera thunder of market leaders Canon and Nikon. Sitting at the top of Pentax's lineup, although only featuring an APS-C sized sensor, the K-3 II competes most closely with mid-range or enthusiast cameras such as the Nikon D7200 and Canon EOS 70D, certainly as far as price is concerned. The highlight feature of the K-3 II is what Pentax calls its Pixel Shift Resolution System, which follows the same sort of idea as the High Res Shot mode in the Olympus OM-D E-M5 II. Here, though, it's designed to increase the colour information captured for each pixel rather than increasing the number of pixels. With Pixel Shift Resolution mode enabled and the K-3 II mounted on a tripod, the camera captures a series of images in close succession with just a one pixel shift between them. On the outside, the K-3 II is very similar to its predecessor, the K-3. This is designed to overcome the limitations of normal sensor technology, where each photosite (pixel) is sensitive to only red, green or blue light. This means the camera has to interpolate, or estimate, the full colour data for each pixel using neighbouring pixels. However, if you shift the sensor you can potentially overcome this limitation by having each pixel capture red, green and blue data in turn. The downside to such technology is the huge file sizes that are produced, so you can disable Pixel Shift Resolution and shoot in a conventional way, saving the high-resolution mode for when you really need it. It's also not possible to shoot moving subjects with the mode enabled. In most other respects the K-3 II shares its specifications with the K3. It has a stainless steel and magnesium weatherproof body, with no less than 92 seals to keep dust and moisture out. Pentax also claims the camera also capable of operating in temperatures as low as -10 degrees. As in the K-3, the 24 million pixel APS-C sensor also has no anti-aliasing filter, which should bode well for sharpness and detail. If you're photographing fine patterns and textures, you can enable an AA filter simulator to counter any moire patterning. Also as in the K-3, the continuous shooting speed is 8.3 frames per second (fps), with a buffer capacity of 23 raw format files, or 60 JPEGs. Further similarities between the two cameras are twin SD card slots, a body-only weight of 700g, a promised 720-shot battery life and the 27-point SAFOX 11 autofocus system. As is becoming increasingly common, there's no anti-aliasing filter in front of the K-3 II's 24-megapixel APS-C format sensor. The K-3 II has a PRIME III image processing engine, which facilitates sensitivity settings ranging up to ISO 51,200. A couple of new features come in the shape of built-in GPS technology, which can be used to record location, as well as latitude, longitude, altitude, UTC and direction using an electronic compass. There's also improved SR (shake reduction), which offers up to 4.5 stops of compensation. Pentax says that AF Tracking in AF Continuous Mode has been enhanced, meaning that the K-3 II has the most responsive subject tracking of all Pentax DSLRs. This is thanks to what Pentax calls a 'state of the art AF algorithm', along with the company's own Real-Time Scene Analysis System. There's no inbuilt Wi-Fi connectivity, but the camera is compatible with the Pentax FLU SD card which can be used to create a Wi-Fi connection if required. Other specifications include a 3.2-inch LCD monitor with approximately 1,037,000 dots, full HD movie capture in the H.264 format, and a pentaprism viewfinder offering 100% coverage. A few creative features are on hand for those who like to experiment with the look of their images in-camera. There are digital filter effects (Toy Camera, Retro and so on), various scene modes, HDR (high dynamic range) capture, and the option to create multiple exposures in-camera.